It's so great when the national aggregator of the home listing data from the various MLS® Systems gets updated to include a few of the advanced features that we've had on our website since as far back as I can remember! When I reviewed the changes yesterday, I honestly didn't see these changes because they are expected on every agent's home listing website. Aren't they? Too bad that REALTOR.ca directs you to call the Listing Agent, and their office, for viewings and more information. Shame on them - what bad advise for the vast majority of buyers! But then again, REALTOR.ca has always been nothing more than an advertising vehicle for the Listing Agents and not the properties they have listed for sale. It's not about selling homes, it's about selling agents! 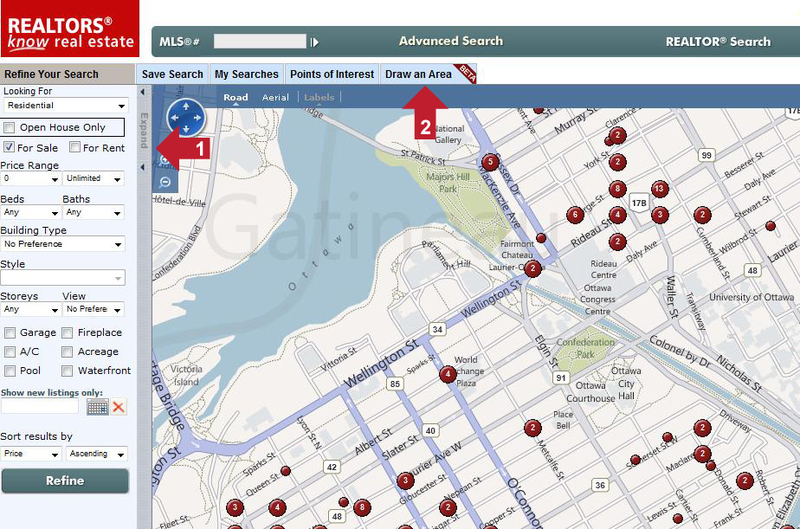 Ottawa, ON – December 1, 2011 – Earlier this week, a new version of REALTOR.ca was released. This version introduces exciting new features and tools that allow users to customize REALTOR.ca to find what they’re looking faster and easier. The map search page is currently divided into three panels with the search criteria on the left, the interactive map in the middle and the property thumbnail list on the right. Using their mouse, users can now draw free form shapes on the map to more accurately define the location criteria for their search. Users will be able to map a specific neighbourhood or region and use that as their location criteria to find properties that are located within the defined area. The map tool is being released in BETA format as we continue to fine-tune its capabilities. Please note – we are continuing to improve functionality and enhancing the user experience. Currently REALTOR.ca’s display area is a fixed size on every monitor. The new version will automatically re-size itself to eliminate the white space now seen on high resolution (HD) monitors. REALTORS® and Offices now have the ability to display links to their Facebook, Twitter and LinkedIn pages.